Typically this scenario is implemented when your organization having various internal business services, wants to protect from getting accessed directly from a remote client. The routing service act as a bridge between client application and the actual service. 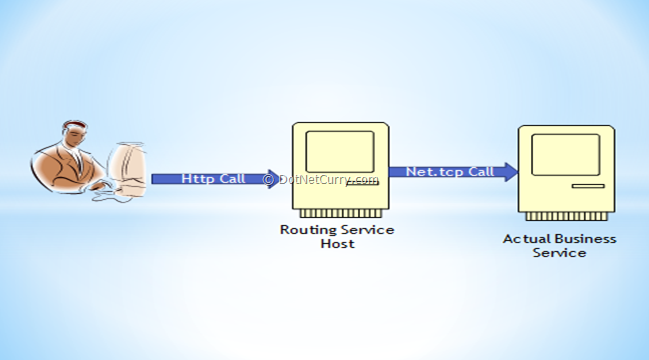 The routing service accepts request message from the remote client using HTTP protocol (most of the times). The routing service has knowledge of the actual business services to which the communication takes place, using protocol like Tcp. 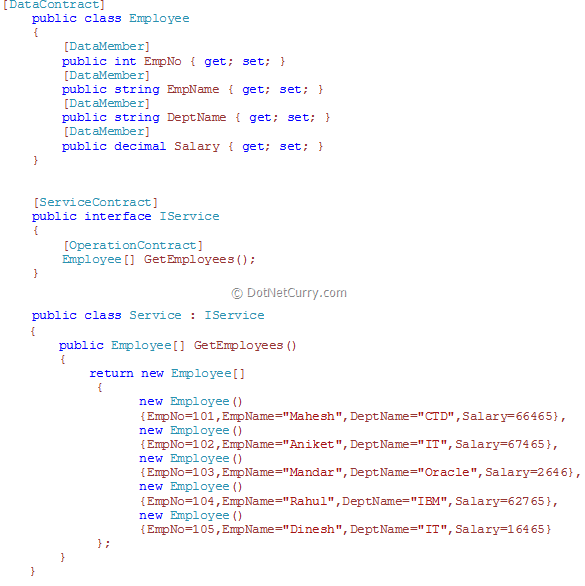 The above code defines DataContract, ServiceContract and the Service class. 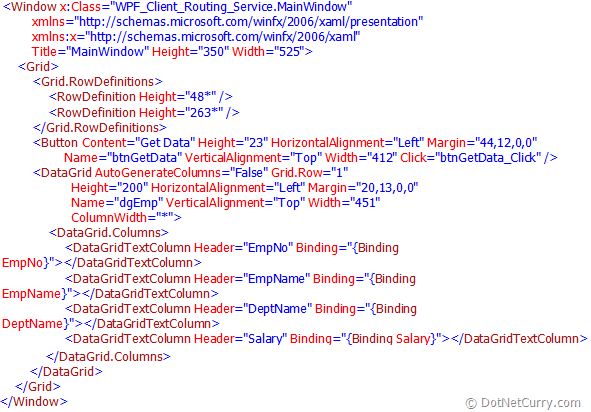 Note: You can also write code for DataAccess from an actual database. For demo purposes, I have decided to keep it simple. In the config file shown above, observe that the security mode is defined as None. If you select any specific type of security, then in the configuration of the router service and the client application, you need to specify the specific security settings. 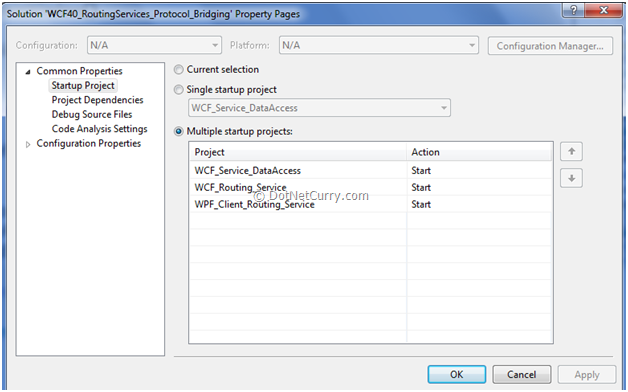 Step 1: In the solution created above, add a new WCF service application project. Make sure that the framework version selected as .NET 4. 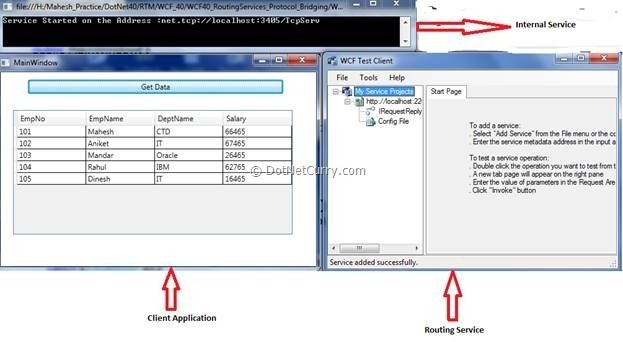 Name this project as ‘WCF_Routing_Service’. 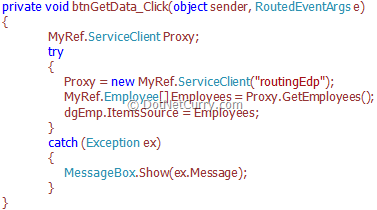 From this project, remove Service1.svc.cs (the code behind file) and Iservice1.cs. 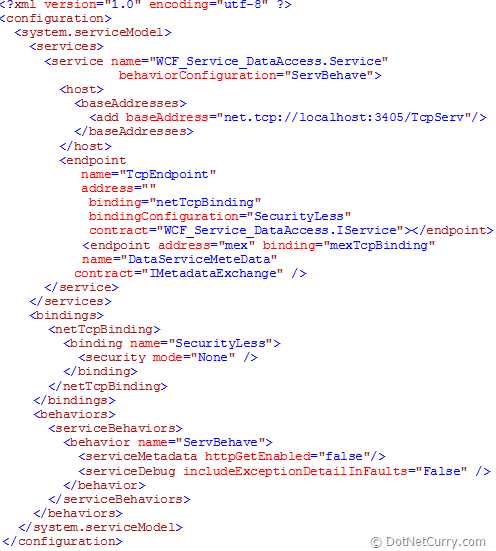 The configuration information for the actual internal WCF service. This defines the actual endpoint of the internal service. 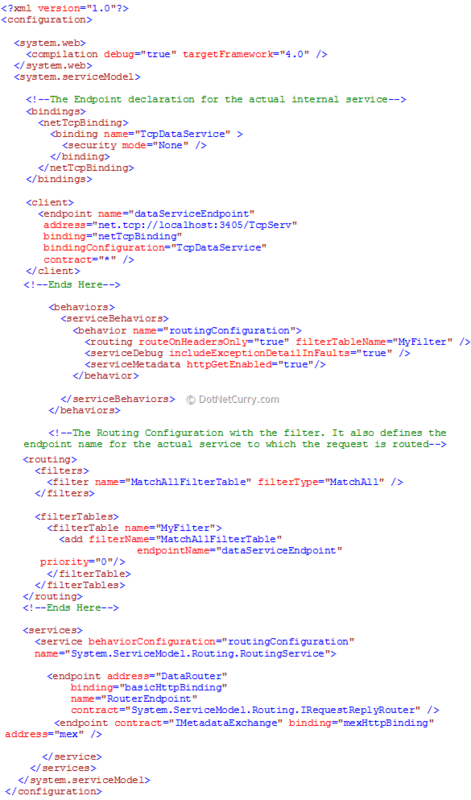 The configuration for the routing filter table which defines the client endpoint name in the filtertable. Note: Performance for the first response is slow.